In the previous article, we explained how shade can reduce the temperature. 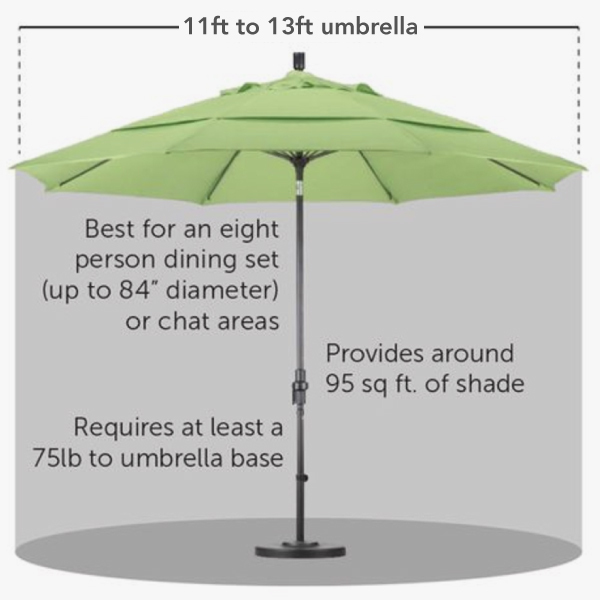 Each size umbrella covers a size area. Below are some tips on the sizes that can cover your patio area.